The Game Awards last night produced a multitude of a number of reveals and announcements, from the small to the large, there was a lot to pack in. One notable reveal, however, was the brand new open world trailer of the upcoming chaotic shooter RAGE 2. Chaotic is just so apt of a word too. Back at Gamescom, I got to play a bit of RAGE 2, you can read my preview and view the gameplay here, and I thoroughly enjoyed it. It’s everything that RAGE should have been. Or at least everything that it should have been in combat. RAGE was notoriously restrictive, compared to the open world impressions people had of it going in. RAGE 2 is looking to resolve this and if the trailer is anything to go by, it’ll do it with gusto. The trailer shows a variety of the enemies you’ll encounter, as well as the environments you’ll encounter them in. I couldn’t forgive myself if I didn’t point out the downright mental nature of other people, as well as that far out disco, man. Featuring intense id-style combat rammed into the open-world mayhem of Avalanche Studios, RAGE 2’s shooterverse will let you go anywhere, shoot anything, and explode everything. Co-developed by Avalanche Studios with id Software, hopefully, RAGE 2 will take the best of both developers, utilising the open-world mayhem the Apex Engine has been able to deliver in the past, in addition to the heavy, visceral action that id has given us with the likes of DOOM. It could truly game as memorable as it truly has the potential to be. 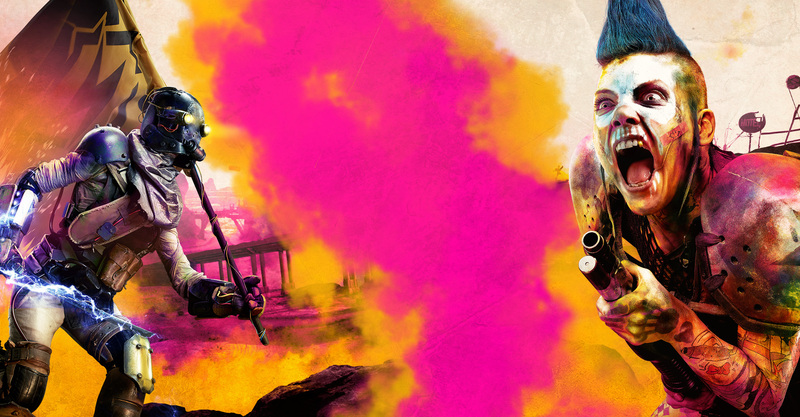 Rage 2 will be released for the PC, PlayStation 4 and Xbox One on Tuesday the 14th of May, 2019. For PC players, like myself, if you click the pre-order button on the official game site the only digital option available is through Bethesda’s own store and launcher. Does this mean that, like Fallout 76, the company will be cutting out Steam altogether? At this moment in time, that reveal and the lack of a Steam store page certainly seems to indicate as much. Regardless, this is still a game worth marking on your calendar.